If you’re looking to upgrade your Stockton commute, look no further than one of the many lease specials available at Mercedes-Benz of Modesto. Here, we have plenty of new vehicle specials available on Mercedes-Benz cars: from new luxury sedans like the C-Class and E-Class, to a variety of Mercedes-Benz SUVs. Explore all of our affordable lease specials going on near Merced right now at Mercedes-Benz of Modesto—including luxury vehicles with low down payments and low monthly payments. Then, test drive one of our many Mercedes-Benz models. Get a Great Price on a New Luxury Car at Mercedes-Benz of Modesto! 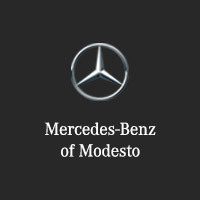 Mercedes-Benz of Modesto offers plenty of affordable new vehicle specials and lease specials. We’re also here to help you find the offer that works for your budget. Compare the differences between leasing versus buying, and count on our staff to help you decide which vehicle meets your budget and needs. After all, our friendly staff is just one of the many reasons Merced drivers rely on us. If you have any questions, don’t hesitate to reach us online.